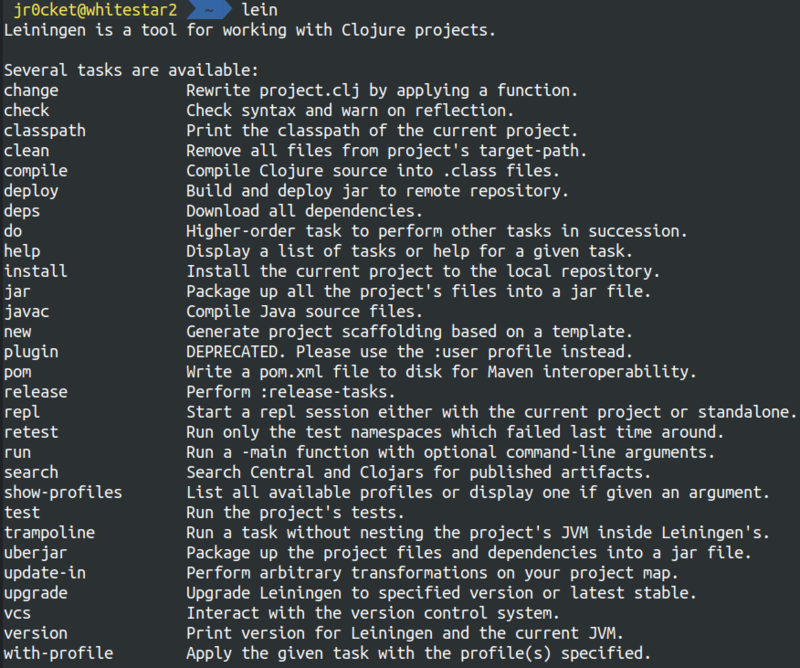 Leiningen will help you create, build and deploy your Clojure projects. Download the lein script to your local bin directory. Then make the lein script executable and run lein to download the full version. If the command lein is not found, run source ~/.bashrc to ensure your bin directory is on the path. If you have Homebrew installed, run the following command in a terminal window. If you have Chocolatey installed, add the Leiningen package by running the following command in a terminal window. GitBash allows you to use the Linux lein script, which may have less issues when installing. The full version of Leiningen will be downloaded and Leiningen is ready to use. If a list of Leiningen commands is shown then it is working correctly.